We're just days away from Halloween, which doesn't seem possible because I haven't carved the first pumpkin! 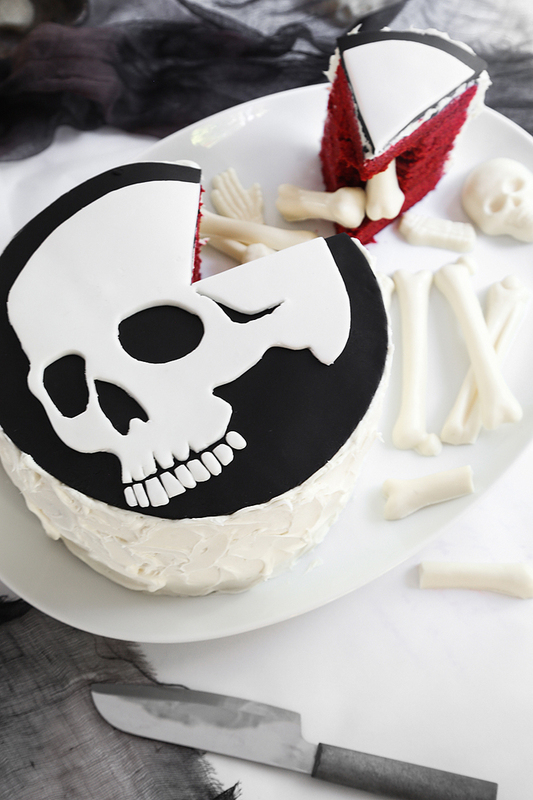 I guess I've been too busy baking up loads of spooky treats like this scary-good skeleton cake. When it's sliced you'll find an eye-popping red velvet interior and a cache of candy bones inside. 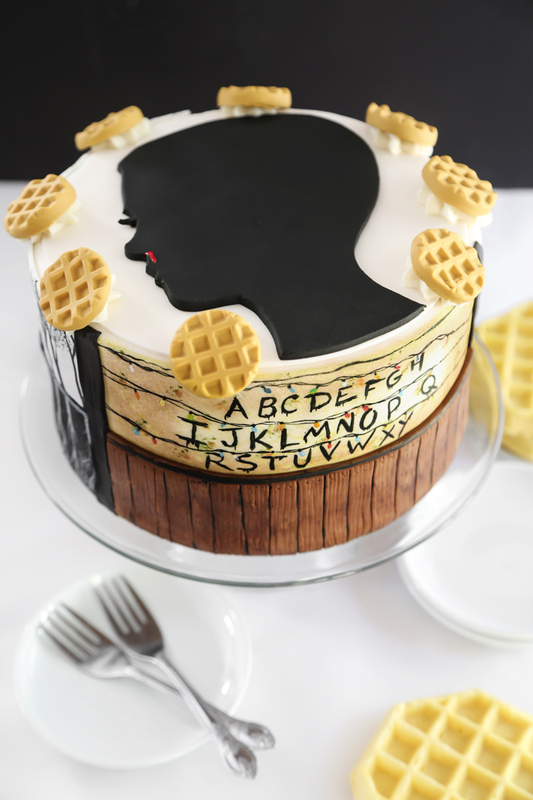 It makes a frightful centerpiece for those party-throwers with a macabre theme. How funny are these guys?! 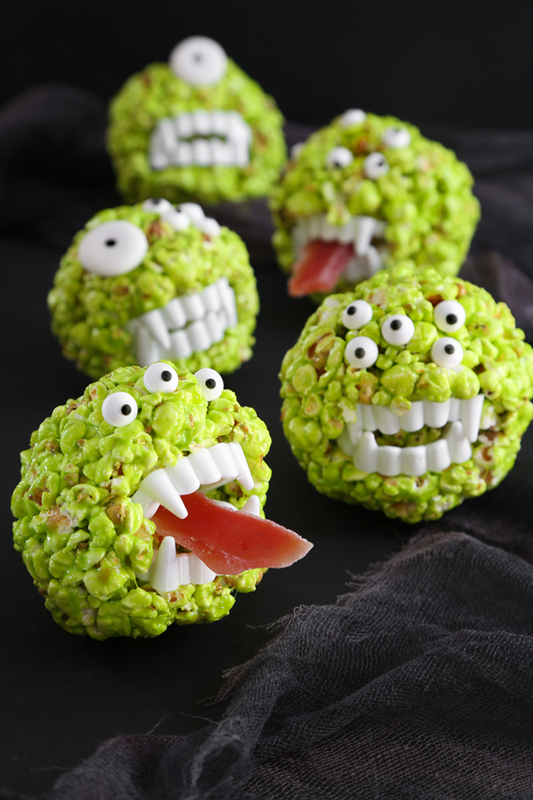 I decided to give my favorite popcorn ball recipe a monster makeover. 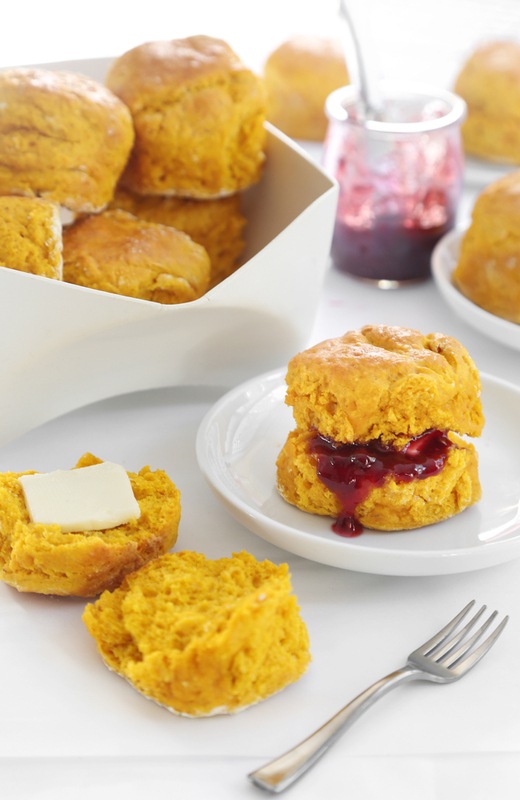 If you have a microwave, the green marshmallow coating can be made in just 2 minutes! I had these salty-sweets whipped up in a flash and they taste like a popcorn version of Rice Krispy Treats. And what about those toothy grins? Just add plastic vampire teeth for instant monster madness. 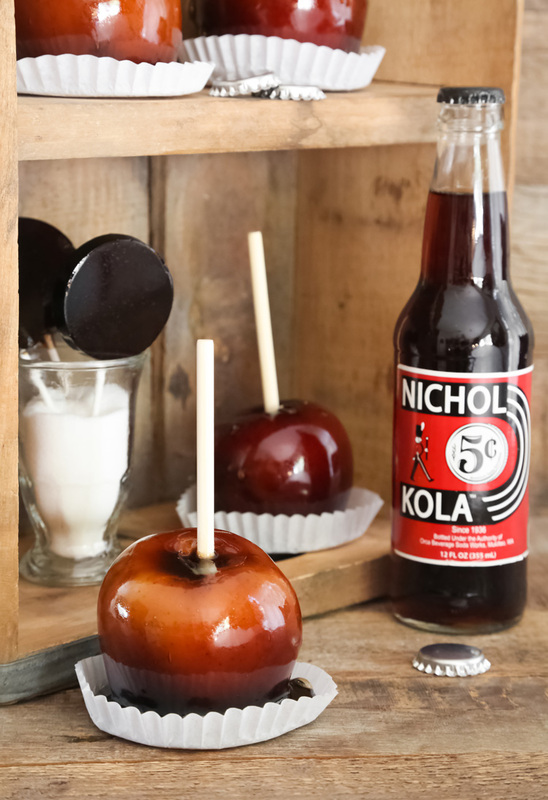 Remember when I told you I had Halloween party treats covered? I wasn't kidding! 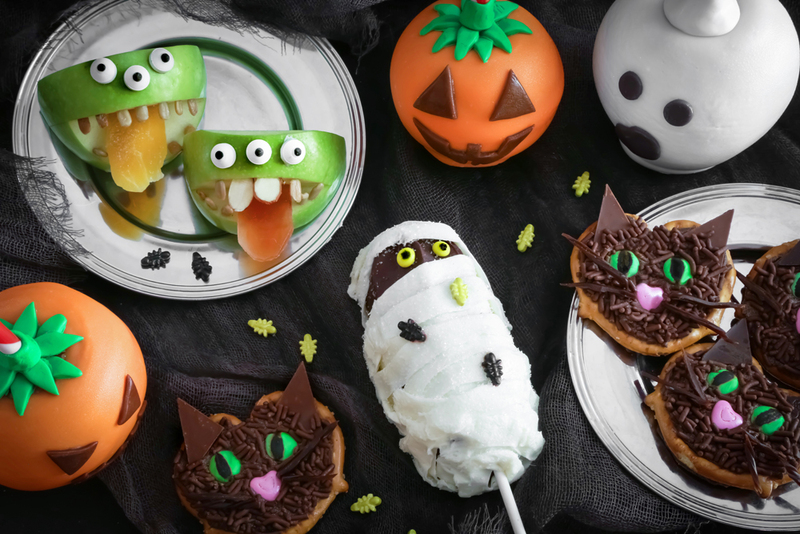 I've been prolific with my spooky sweets-making this year. 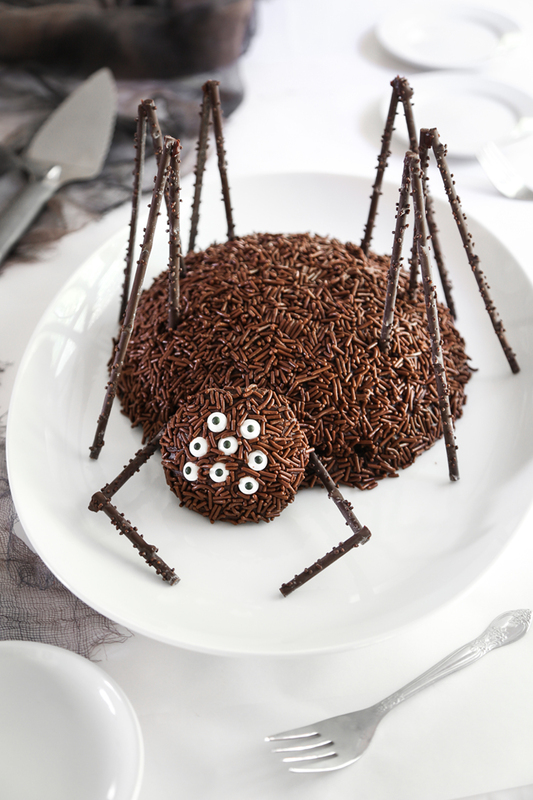 This chocolate spider cake turned out to be one of my recent favorites. 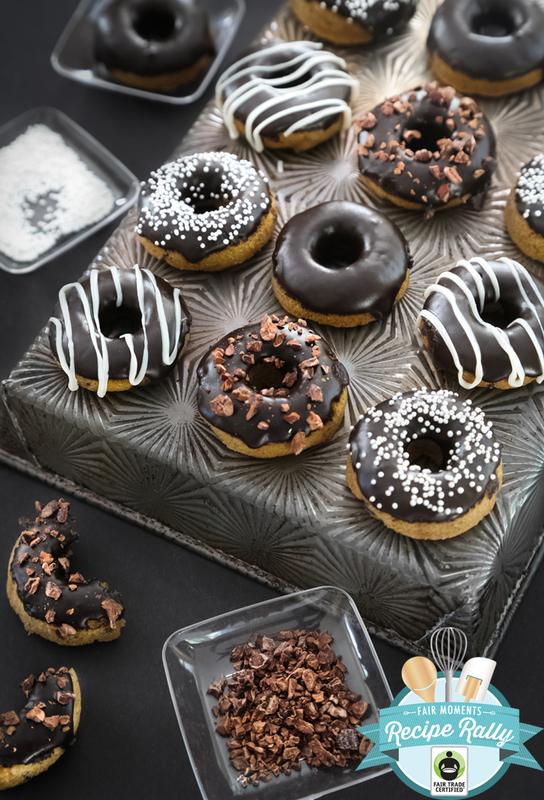 It's absolutely RICH and delicious and it'll double as a centerpiece for your party buffet. I think we can all agree that Mr. Spider is more cute that creepy. I'd assumed the chocolate sprinkles would make him look hairy and scary, but honestly he looks more like a furry stuffed animal.